Friend of the blog Ben G. (hi, Ben!) recently sent in a question about screenplay contests. I know it’s a topic of interest for a lot of screenwriters, so I thought I’d share some of our conversation here. I’m looking to enter a screenplay contest next year, but I’m not sure at this stage which one/s are the best to target. I’m hesitant to throw money at any script contest with a webpage, so it would be great to get a sense of which comps in the States have a solid reputation and not just hype (e.g. they ensure all entries are read and winners are decided on the merits of all entries). As an international entrant I’m lacking the local knowledge that would provide the right amount of trust to part with some hard-earned, so any recommendations would be appreciated. There are many reasons to enter screenplay contests: for the feedback, a gauge of where you stand among your screenwriting peers, or as a way to get some attention and break into the industry. 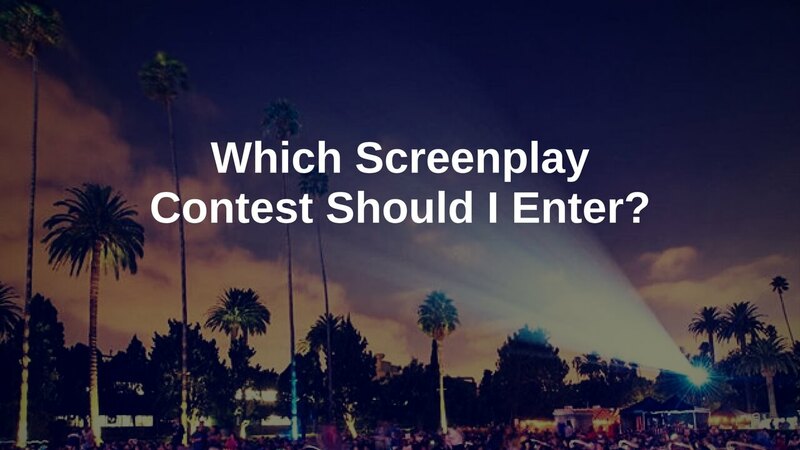 If you don’t have access to the industry otherwise, screenplay contests might even seem like your only option for throwing your hat in the ring. But the sheer number of contests vying for your time and money can be overwhelming. So how do you choose which screenwriting competitions to enter? 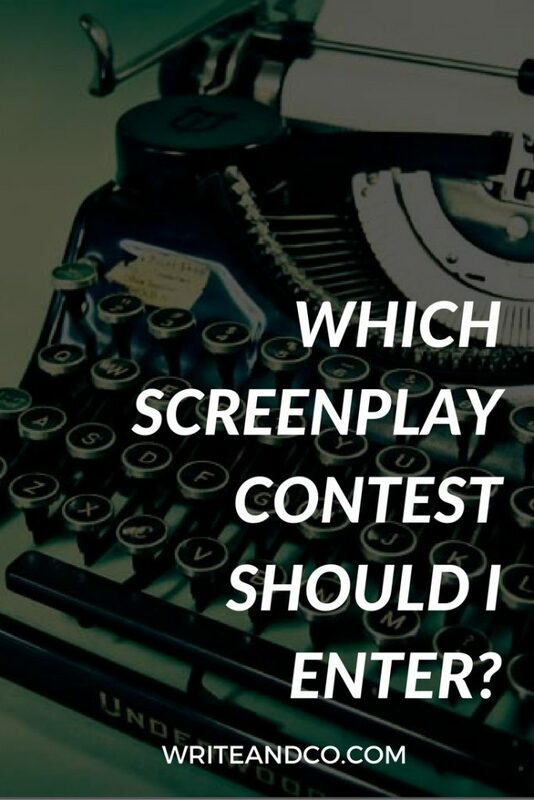 What does the screenplay contest offer? Now, if money is no object, then I suppose you can enter anything and everything. But if you’re trying to be selective, then paying attention to these factors will help you narrow down your options. What do you want from the experience of entering this screenplay contest? Where are you along the screenwriting path? Are you a new writer, just trying to gauge if you’re on the right track? Are you somewhere in the middle of your journey, trying to understand which areas of your craft you need to work on? Are you trying to figure out how you measure up against the competition? Or are you solid in all areas of your screenwriting craft, and now in search of an opportunity to get noticed and make some industry connections? Where you fall on this spectrum could make a big difference in the screenplay contests you’ll want to enter. Because if you’re looking to get noticed, you want a contest that people in the industry actively pay attention to, a name that will mean something in a query letter (AFF, Nicholl, Sundance Labs). But if you’ve just finished your first screenplay, it’s probably not worth it to spend more money on a name-brand contest, especially if the cost is not receiving feedback on your entry. I’m not saying your first screenplay isn’t genius… but let’s face it, most first screenplays aren’t. Most first screenplays won’t be able to capitalize on industry introductions, but would benefit from receiving a little guidance on how to improve. In my opinion, contest feedback is most worthwhile if you’re either pretty new to screenwriting and need some direction, or if you’re perhaps intermediate and beyond and you’re simply trying to get another perspective and reaction to your current draft. If some feedback is provided with the cost of the contest entry – great. Take it with a grain of salt, but great. Otherwise – and again, this is just my opinion – I think you can save your money when it comes to adding on the “optional feedback” that so many screenplay contests are offering these days. Why, as someone who has read for several screenplay contests, would I hold this opinion? In my experience, it’s hit or miss whether you’re going to get a good, thorough contest reader who actually has the skills (and time) to provide useful feedback. Here’s the thing – screenplay contest readers tend to be spread fairly thin, so they’re not always able to devote the time it would take to provide thoughtful notes. (This can vary by contest.) Plus, you don’t know the reader personally, so there’s always going to be a question of what is this person’s experience level, and what perspective are they bringing to the read. If you have the cash to spare and you’re just looking for another opinion on your script (not your sole source of screenplay feedback), then sure – pay for the feedback. But if you want actual development notes that can help you make a plan for moving forward in the next draft, then work with a screenplay consultant one-on-one, separate from a contest. What kind of prizes would help you the most? Screenwriting competitions can offer all kinds of things as prizes. Money, software, screenwriting- or filmmaking-related services, industry meetings, publicity, creative consultations, career coaching, attendance at retreats or festivals, year-long mentorships, etc. So, keeping in mind where you are on your screenwriting path, think about what would be most helpful in getting you a little further along? As with the earlier example, if you’re entering your very first screenplay into a contest, maybe the prizes that would benefit you the most at this stage would be educational, rather than access-oriented. What kind of material are you entering? What kind of screenplay contest are you going to have the best shot at winning (and getting the result you’re looking for)? Many contests have distinct “personalities” and types of material that tend to do well in them. From the stated outright, like a genre contest that focuses on only horror, or only comedy, for example. To the less overt, like perhaps a contest that tends to reward highbrow subjects, indie sensibilities, or “important” messages (Nicholl, Sundance Labs). There are also screenplay contests where a high concept and a killer logline are going to carry more weight (Trackingb.com). If you write solidly across the board, but are worried you don’t have the highest of high concept pitches, you may want to choose a contest that insists its readers actually read the entire screenplay. That way you’re guaranteed your entry will be given its chance and not judged on just the first five or ten pages. This category is all about vetting the contests to make sure they’re actually worth spending your money to enter. What factors can help you figure out if a contest is reputable? Do they offer any stats or testimonials? Other proof that writers before you have benefited from placing or winning, or at least been happy with the experience? What can you find out about the people who own and/or operate the contest? What’s their background, what connections do they have to the industry? Additionally, who are the readers? What qualifications does the contest require of their readers? How thoroughly are they vetted? Is the screenplay contest affiliated with or endorsed by a studio or a legitimate industry organization? Or is their industry affiliation limited to sponsors who want to sell you something? How do they present themselves? What do they say about their prizes? Are they using misleading statements about what entrants and winners receive? There’s a difference between enthusiastic marketing language and being so vague or inflated in their promises as to seem shady. Use your gut. Worth a listen: This Scriptnotes episode includes a discussion about one writer’s experience with a particular screenplay contest. John and Craig point out some red flags to consider that you might not have thought about before. So those are the factors I would consider if I were looking for screenplay contests to enter. I know it seems like a lot of work, but I think you deserve to get your money’s worth. If you have a limited screenwriting education budget set for yourself, of course you want to be strategic about what you’re spending it on.